You probably head for the coffee maker first thing every morning to get your caffeine fix, but that amazing little pot can cook up more than a cup of your favorite beverage. 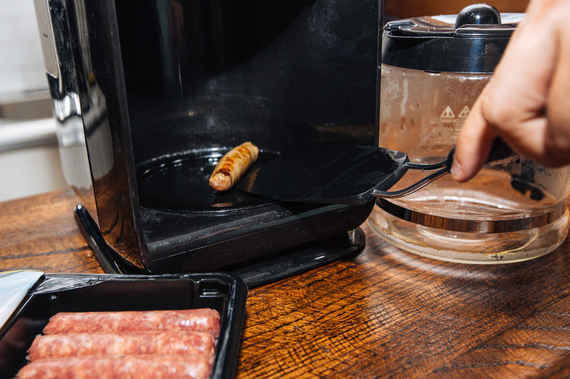 College students, frequent travelers and just plain clever people have figured out ways to cook everything from Ramen and hot dogs to pancakes that would rival your local diner — all with a coffee maker. 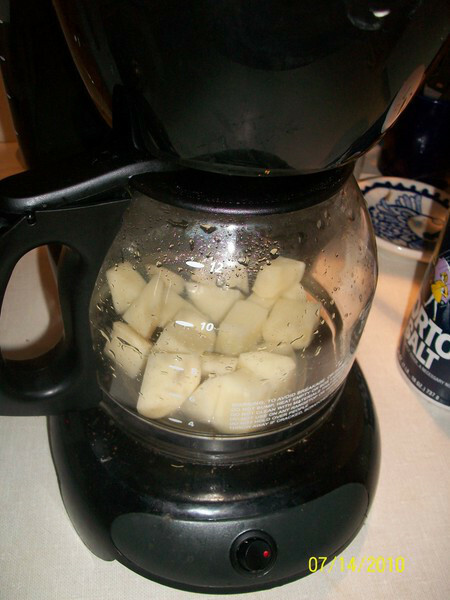 Is coffee pot cooking the fastest way to cook? No. But if you’re living in a dorm or living out of hotel rooms, a coffee maker just may become your new best friend. 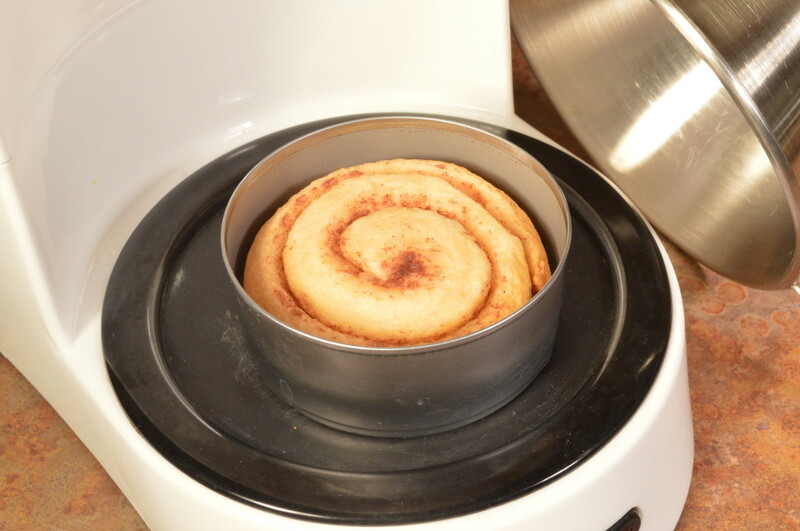 Start your morning off with a delicious cinnamon roll made on the coffee pot burner. 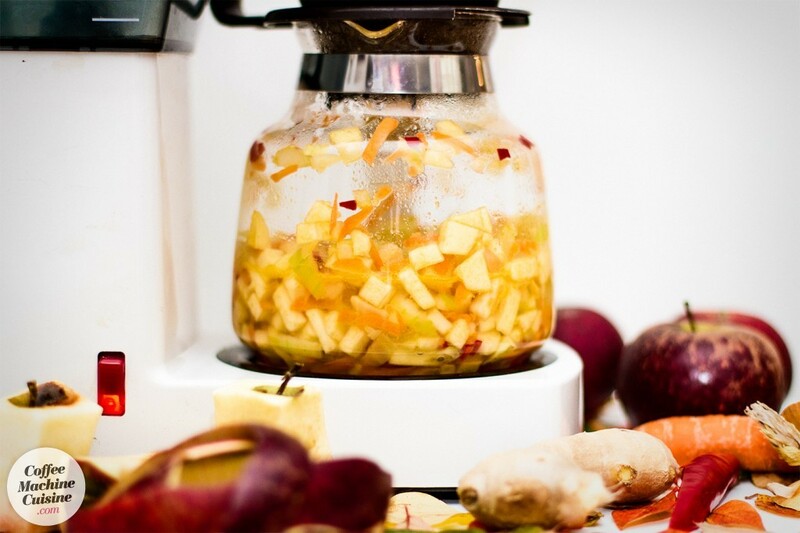 Sweet and hot apple chutney will make your entire house smell amazing while it cooks. 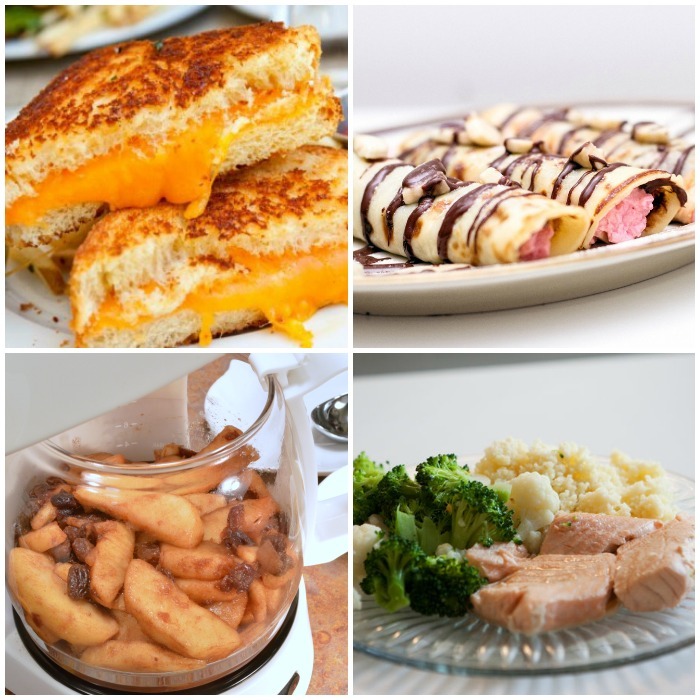 It’s a great recipe for fall or winter! 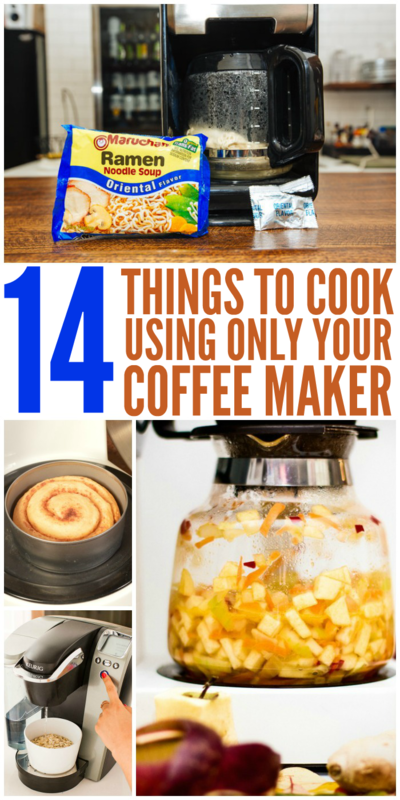 Make an entire meal in your coffee pot! 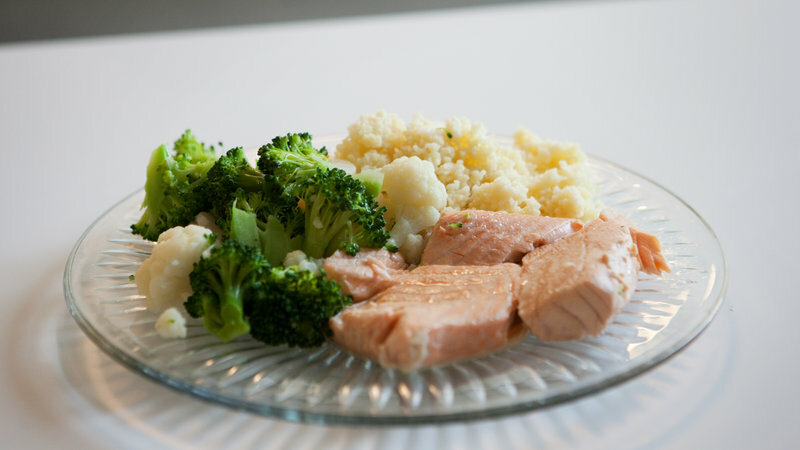 NPR cooked up Poached Salmon, Couscous and Steamed Veggies all at the same time. Healthy and handy. How about a nice grilled cheese sandwich for lunch? You can even heat up some tomato soup in the crock to pair with your sandwich. 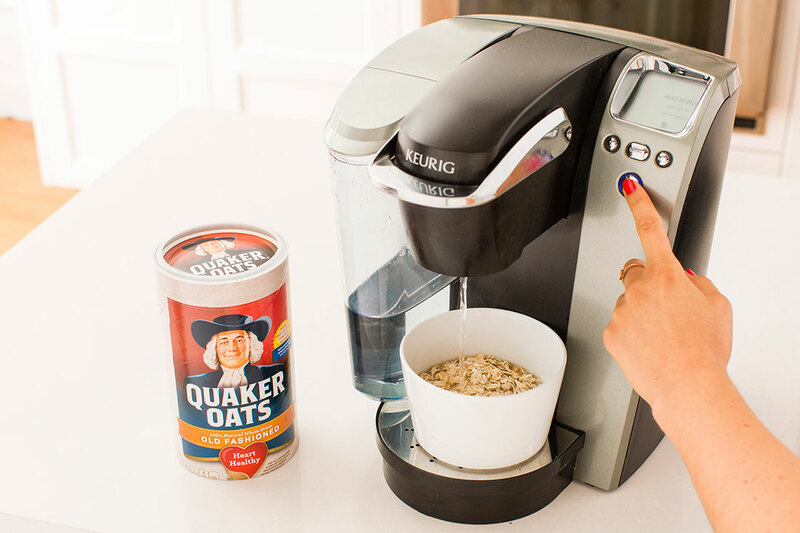 Try hot and hearty oatmeal with your Keurig. Your breakfast will practically make itself while you get ready. Eating a high-protein diet? 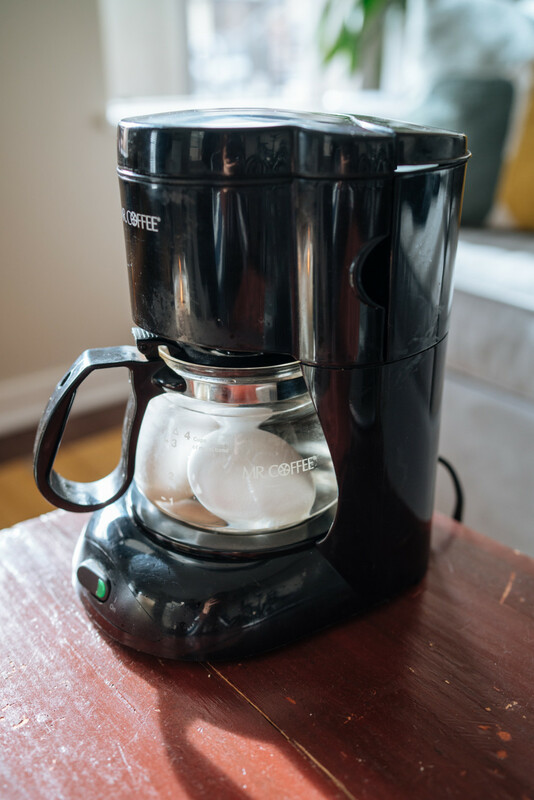 Get hard-boiled eggs even when you travel by making them in the coffee pot in your hotel room. 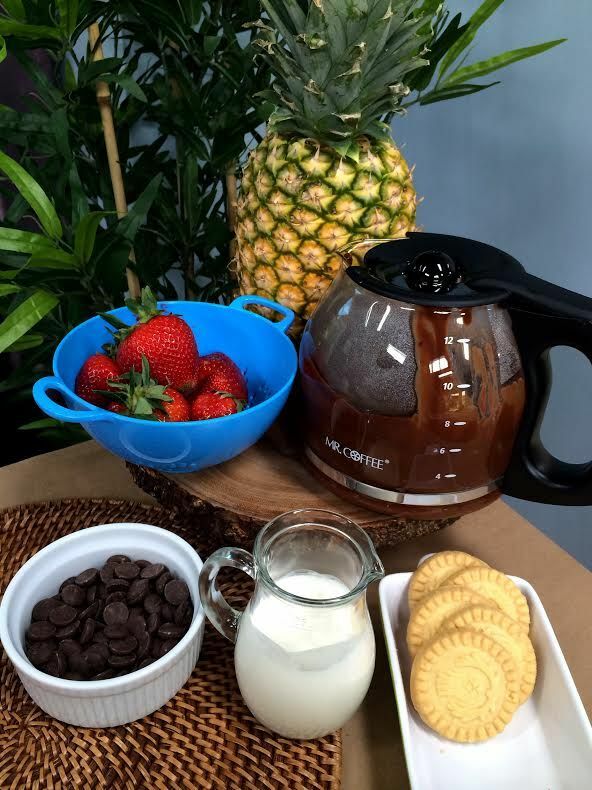 Chocolate fondue sounds heavenly right about now. Add some strawberries, pieces of cake and marshmallows, and you have a romantic dessert right in your coffee pot. Spray some PAM on your burner and fry up a few sausage links for breakfast. You know, to go with your hard-boiled eggs. You know we’re crazy about Nutella here. 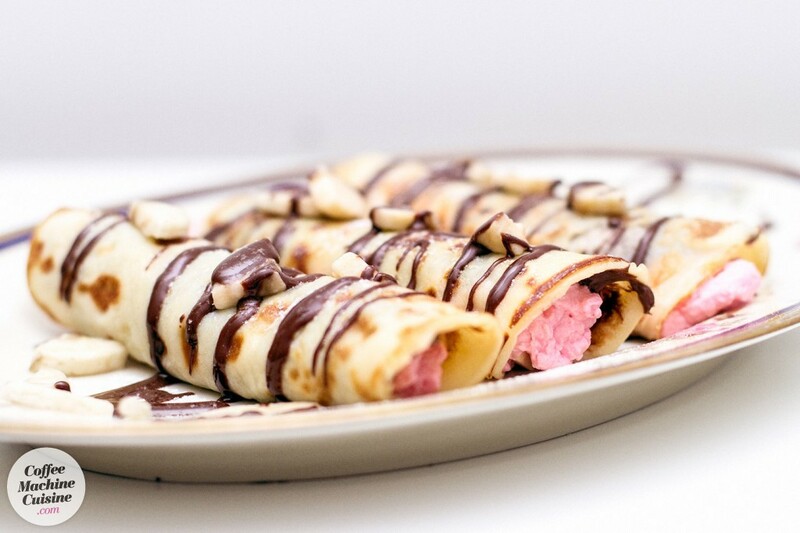 Well, these bloggers made Nutella pancakes on the coffee maker plate, and they look out of this world delicious! 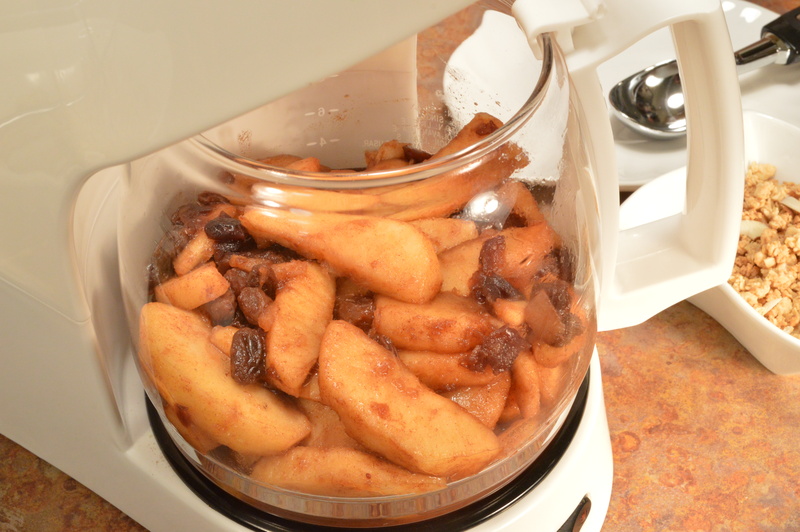 Cooked apples are one of my favorite desserts! Serve them over ice cream while they’re still hot. Yum! 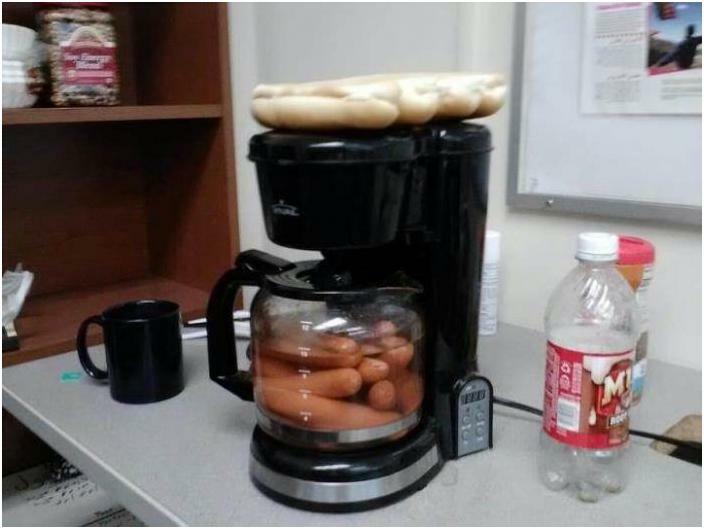 Just run the water through the coffee maker, add hot dogs and return the pot to the burner until they’re plump and ready. 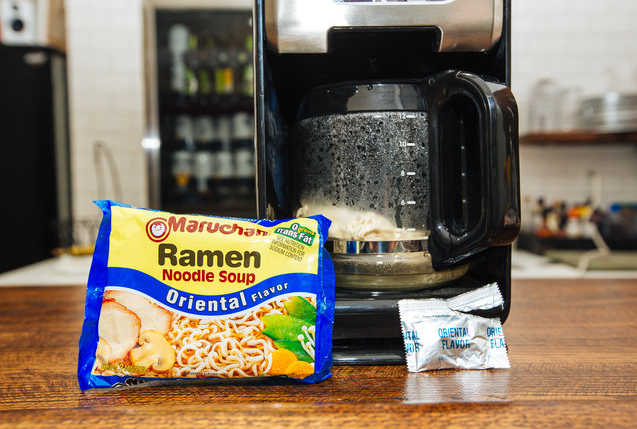 You may laugh now, but in college, this would have been a welcome change from Ramen! This person cooked up some potatoes for potato salad. It takes about 2-3 hours to get them tender, but you’ll have have plenty of other things to occupy your time at the campsite while those are cooking. But it doesn’t have to be all unhealthy stuff. 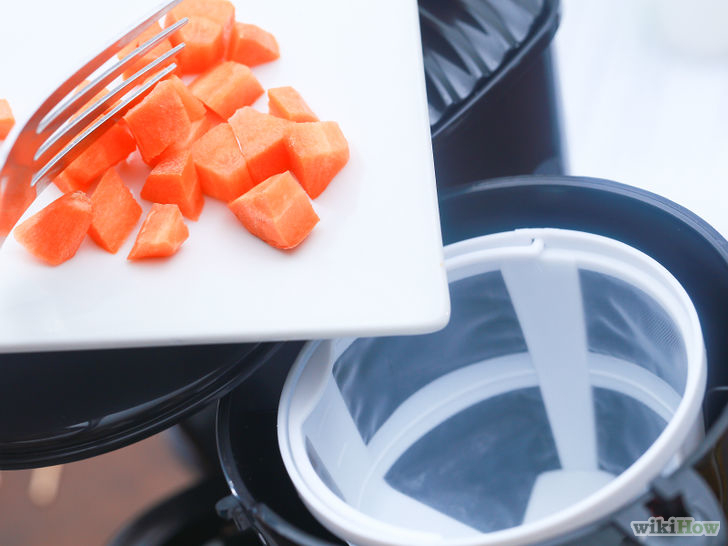 The coffee maker’s filter basket can serve as a vegetable steamer in a pinch. Stick to carrots, green beans, broccoli, peas, and things like that. You don’t want to stink up your room with onions or peppers.